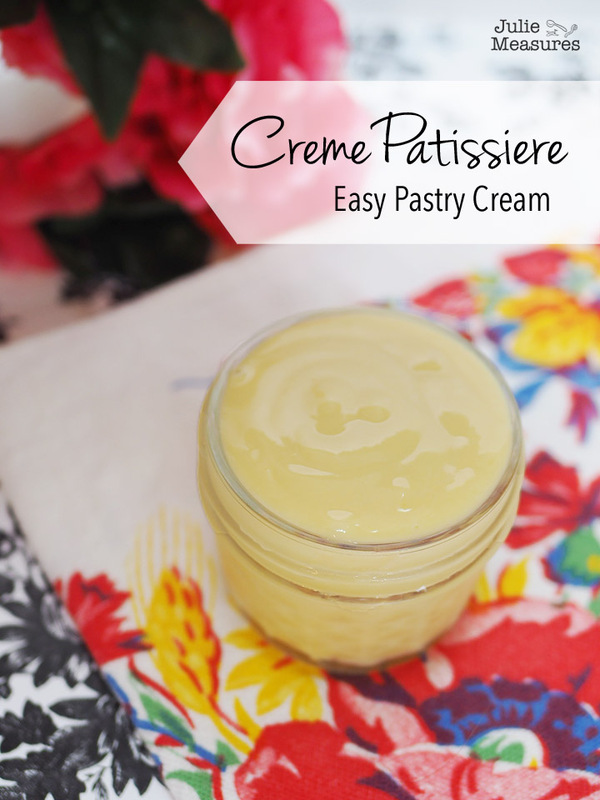 It sounds fancy, but this Creme Patissiere recipe is simpler than you think! Use it to fill cakes, pastries, and tarts. Get more creative by making Creme Patissiere flavors. If you’ve ever eaten a cream puff, eclair, fruit tart, or Boston cream pie then you have eaten creme patissiere. 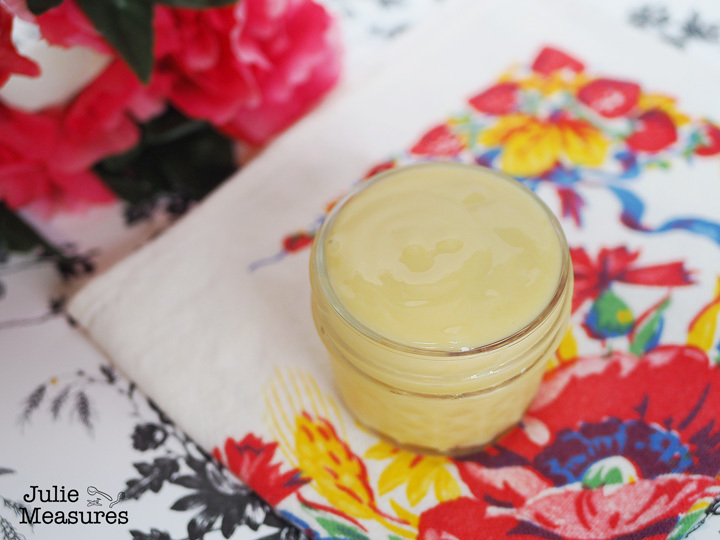 This thick and creamy custard is a pastry staple and is used as a filling for cakes, tarts, and pastries. In English we often refer to this as simply pastry cream. 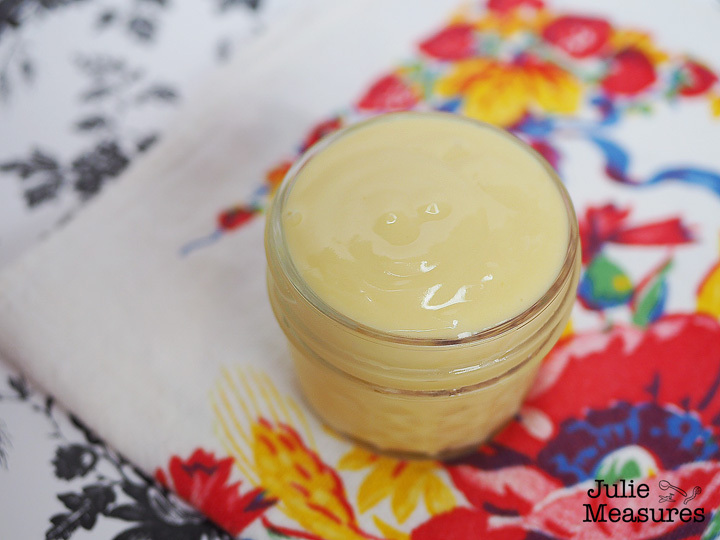 The custard is made from simple ingredients and usually flavored with vanilla. However, it’s such a simple recipe that there are endless options to change it up. You can add butter to make it creamier, fruit puree to change the flavor, even melt in some chocolate. 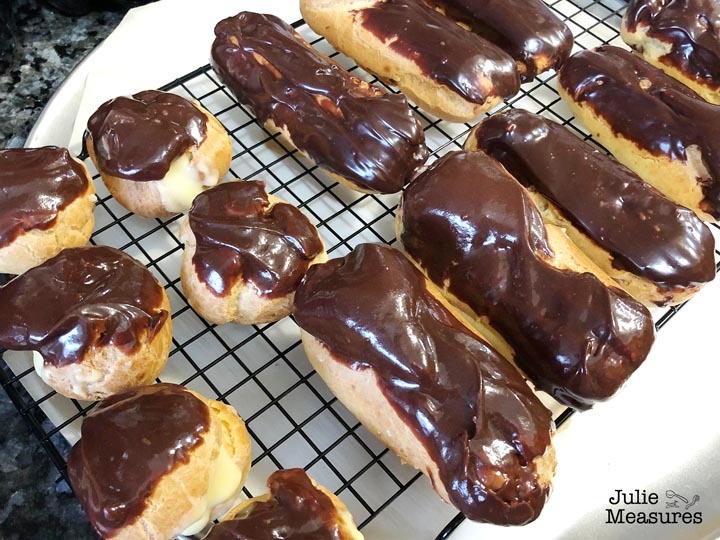 My sister recently took a class where she learned how to make eclairs. Clearly I needed her to share her new skill with me. If you’ve ever watched an episode of the Great British Baking Show you’ve probably heard them talk about pate a choux, which is the type of pastry that eclairs are. It’s a hollow and light pastry that lends itself perfectly to a creme patissiere filling. 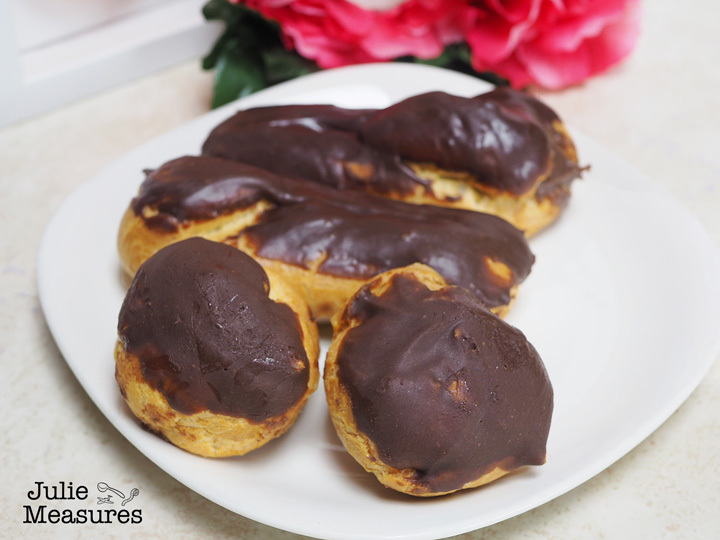 Eclairs and cream puffs are both made from this dough, their different names are because of the different shapes. You make and pipe the dough, then bake it. While the eclairs baked we were busy making our creme patissiere filling. This day we made both a traditional vanilla creme patissiere recipe and a chocolate creme patissiere filling. We like variety. Eclairs take patience, and I’ll need some practice with mine. The first batch we took out of the oven too soon and they collapsed. The second batch we let stay in the oven longer and they turned out better. 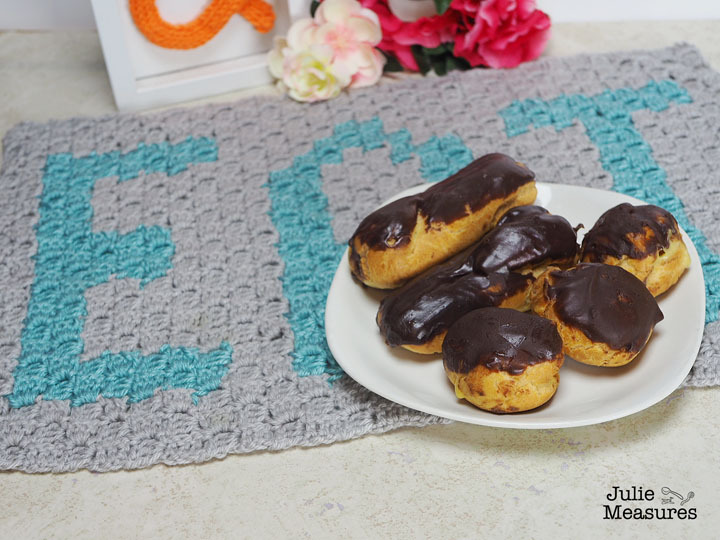 We ended up making both eclairs and cream puffs, and the cream puffs were much simpler. Whisk the egg yolks and sugar together. Add the flour, whisk, and set aside. In a medium saucepan bring milk just to a boil. 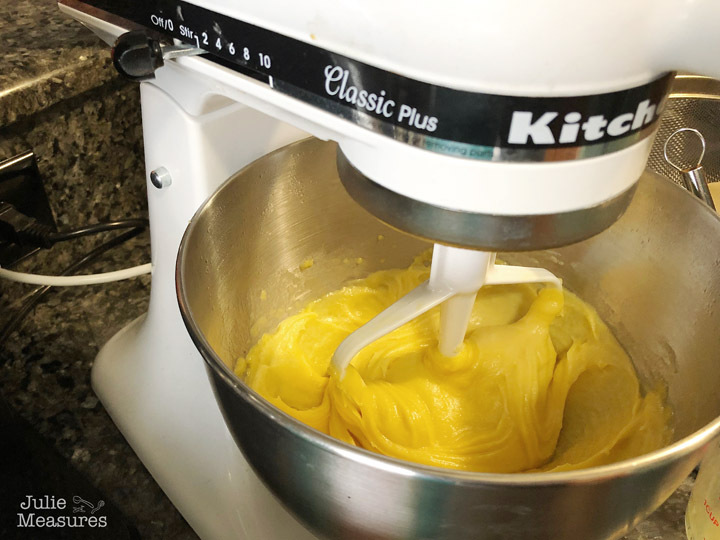 Gently pour the milk into the egg yolk mixture, continuously whisking. Pour the mixture back into the pot and cook over medium-low heat, whisking constantly, until mixture thickens. Cook for 1 additional minute and then remove from heat. Cover the custard with plastic wrap. Make sure the wrap touches the custard to prevent a skin from forming on the top. Let cool to room temperature and then refrigerate until chilled. Want to try flavored creme patissiere? I’m giving mine a fresh lemon flavor with some lemon curd!